Around the Mouse: Walt Disney World News and More! New! ‘Move It! Shake It! Dance & Play It!’ Street Party Debuted Oct 24: The ‘Move It! Shake It! Dance & Play it!’ Street Party makes its debut at Magic Kingdom Park on Oct. 24! With new music, characters and refreshed floats, Guests have a brand new opportunity to become part of the show. Once Guests have moved it, shaken it, and danced it, they decide what comes next by voting for the next song on the party playlist! 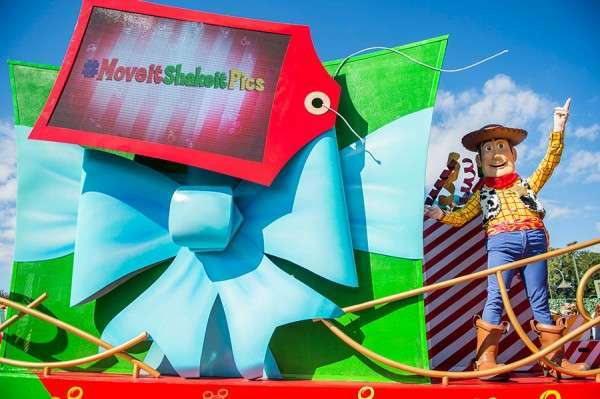 While Guests are raising the roof with their Disney character friends, they can post selfies to share on Twitter and Instagram with the #MoveItShakeItPics where their photos may pop up in the special finale moment. New! Mickey’s Very Merry Christmas Party Sold Out Nov 7: The very first Mickey’s Very Merry Christmas Party, which takes place on November 7th, is already sold out. Parties with availability include November: 10, 13, 14, 16, 20, 21, 30, 2014 and December: 2, 4, 5, 7, 9, 11, 12, 14, 16, 18, 19, 2014. New! Stephen Twinings to make Special Appearance in United Kingdom: From Nov. 1-2, Guests who visit The Tea Caddy in the United Kingdom from 1-8 p.m. will have the opportunity to discover delightful teas from Twinings® of London and meet Stephen Twining, a 10th generation Twining family member. New! Experience Le Rouge lipsticks from Givenchy Oct. 30-Nov. 2: Experience pure couture with Le Rouge lipsticks from Givenchy. On Oct. 30-Nov. 2, from noon – 9 p.m., beauty experts from our Givenchy team can help find the perfect shade for you at the Givenchy Boutique in France. During this event, Guests who purchase $100 or more in Givenchy merchandise will receive a Givenchy cosmetic bag and deluxe sample. Cast discounts apply. Update! Candlelight Processional Returns to Epcot:Candlelight Processional is one of the most beloved holiday traditions Walt Disney World Resort, with the joyous retelling of the Christmas story by a celebrity narrator, accompanied by a 50-piece orchestra and glorious mass choir. Among new celebrity narrators this year is Jonathan Groff, who voiced the rugged mountain man Kristoff in “Frozen.” Candlelight performances are at 5, 6:45 and 8:15 p.m. at America Gardens Theatre. (Show times on December 7 are 6:45 and 8:15 p.m. only). Guests may purchase Candlelight Dining Packages to reserve a seat at the Candlelight Processional. These packages, available on select nights, include a delicious meal, a guaranteed seat for one of the Candlelight Processional performances and a pre-arranged location for fireworks viewing. Guests may call 407.WDW DINE for reservations or at www.disneyworld.com. Availability is limited. Reminder! Epcot International Food & Wine Festival Under Way: From now until November 10, taste your way around the world at 28 International Marketplaces. Remember to check out the Eat to the Beat Concert Series at America Gardens Theatre at 5:30, 6:45 and 8 p.m.. There are also many special festival experiences at the Festival Welcome Center hosted by Transitions® adaptive lenses™ – open daily 9 a.m. – park close including: Culinary demonstrations – daily at 1, 3 and 5 p.m. ($15 per person); Wine and beverage seminars – daily at 12, 2 and 4 p.m. ($15 per person); Mixology seminars – daily at 6 p.m. ($15 per person); The Chocolate Experience: From Bean to the Bar- Hosted by Ghirardelli® Chocolate Company – daily from 9 a.m. – park close (Free); Back to Basics (new this year!) – Sundays at 12:15, 2:15, 4:15 and 6:15 p.m.; Book, bottle signings and meet and greets; Seasons of the Vine film; Intermissions Cafe – 9 a.m. – park close; The Festival Center Wine Shop and The Stockpot Shop – 9 a.m. – park close. Check out of photos of the Festival here. New! The Osborne Family Spectacle of Dancing Lights Returns: The Osborne Family Spectacle of Dancing Lights features millions of dancing lights, plus animated displays and 3-D effects perfectly synchronized to electrifying holiday tunes amidst snowfall. The rich tradition takes place on the Streets of America, dazzling guests from November 7, 2014 – January 4, 2015. New! The Legend of Captain Jack Sparrow Closing: The final day for this attraction will be November 6, 2014. No replacement has been announced. New! 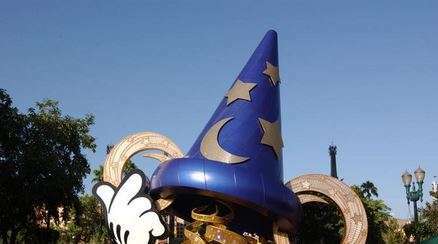 Sorcerer Mickey Hat to Be Removed: The iconic sorcerer’s hat at Disney’s Hollywood Studios will come down early next year. The central hub area at Disney’s Hollywood Studios will be re-imagined, but no specific details have been announced yet. Reminder! “Big Hero 6? Meet and Greet Coming Mid-November: By mid-November, the stars of Disney’s new animated comedy-adventure, “Big Hero 6,” are flying into Disney’s Hollywood Studios to greet their fans. Guests will be able to meet Hiro Hamada and his huggable buddy Baymax inside The Magic of Disney Animation attraction, where they can tour the lab at San Fransokyo Institute of Technology and pay a visit to Hiro’s garage workshop. Disney’s “Big Hero 6” opens in theaters in 3D on Nov. 7. Reminder! Wandering Oaken’s is Back: Wandering Oaken’s Trading Post, one of the most popular parts of last summer’s “Frozen Summer Fun LIVE!” event at Disney’s Hollywood Studios, is back and staying put through the holidays! Oaken’s has re-opened in a new space, on Streets of America near Studio Catering Co. and “Lights, Motors, Action! Extreme Stunt Show.” The new Wandering Oaken’s Trading Post & Frozen Snowground! features a larger-than-ever play area with real snow, plenty of “Frozen” merchandise, and those yummy “Frozen”-inspired cupcakes and other treats. And every 30 minutes or so, you may even catch a glimpse of the Northern Lights shimmering in the night sky. Reminder! Discovery Island Popcorn Kiosk Reopened: The Discovery Island Popcorn kiosk reopened after refurbishment on Oct. 11. New! Menu Enhancements at Shutters Restaurant at Disney’s Caribbean Beach Resort: On Wednesday, Oct. 29,new enhancements are coming to the menu at Shutters. The resort chefs have created several dishes to add to the themed menu featuring American favorites with a Caribbean twist. Appetizers: Seared Crab Cakes: two crab cakes with Caribbean slaw, curry aioli and mango salsa. A nice refreshing start to your meal. BBQ Shrimp and Grits: grilled shrimp served with citrus barbecue & Nassau grits. Roasted Butternut Squash and Plantain Soup. Entrée: Caribbean-spiced Osso Bucco: This meaty pork shank will be braised to be fork tender and served over sweet potato mash. Their pasta sauce will be changing to a cream based sauce with sweet roasted peppers and goat cheese. Dessert: Warm Cinnamon and White Chocolate Bread Pudding: served with butterscotch and cinnamon sauces. New! Disney’s Beach Club Resort Planned Refurbishment: Disney’s Beach Club Resort will be undergoing refurbishment through the next 20 months. Guest rooms will be refurbished with new hard and soft goods. The planned dates for this renovation are Oct 13, 2014 – Aug 22, 2015. The Stormalong Bay Pool – Waterslide and the waterway from the slide to the first bridge of Stormalong Bay will be unavailable Jan 5 – Feb 2, 2015. Stormalong Bay Pool – Lazy River bridges three and four will be under refurbishment and the lazy river/snorkel area will be closed Feb 2 – Mar 3, 2015. The remaining portions of the pool will remain available to Guests. New! Disney Resort Holiday Decor Returns Soon: Shining bright with merry décor, gingerbread houses and more, the Walt Disney World Resort hotels are all glittery for the season. Guests will find a sugary showcase of holiday displays throughout the magical resort hotels. From enhancing visual feasts created from all kinds of sweets to refreshing stops offering tasty beverages and treats, each display has its own charming features. Reminder! Nanea Volcano Pool at Disney’s Polynesian Resort is Closed: The main pool is officially closed to guests and will remain closed through early 2015. Guests of this resort will be able to enjoy Disney’s Blizzard Beach Water Park as a complimentary offering. Barefoot Pool Bar will be temporarily closed during the refurbishment of the Nanea Volcano Pool. Beverages will still be available for purchase at the Polynesian East Pool during this time. Reminder! Disney’s Wilderness Lodge Silver Creek Springs Pool to Close for Refurbishment: The main pool and slide will be closed for enhancements at Disney’s Wilderness Lodge Sept. 3 through Nov. 27. During this time, the leisure pool at The Villas at Disney’s Wilderness Lodge will remain open. Guests will also have the opportunity to visit either the Main Pool at Disney’s Contemporary Resort or the Meadow Swimmin’ Pool at Disney’s Fort Wilderness Resort & Campground. Complimentary transportation will be provided to both of these neighboring resorts. New! PhotoPass Photos Automatically Linked to MagicBands: If you’re wearing an active MagicBand on select Walt Disney World Resort attractions, your photos will be automatically associated to your My Disney Experience account. You don’t have to do anything. In fact, if you’ve worn your MagicBand on one of the participating attractions in the last 45 days, you should be able to find that photo in your account now. Don’t have a MagicBand? Don’t worry. We’re making it easier for you, too. Today we turned on new touch points at Magic Kingdom Park (Buzz Lightyear’s Space Ranger Spin, Space Mountain, Splash Mountain). So after you ride, simply find your photo on the preview wall and touch your park ticket or Memory Maker card to the touch point to associate your photo. We expect to have photo touch points installed at Epcot, Disney’s Hollywood Studios and Disney’s Animal Kingdom theme parks by mid-November. Beginning soon, guests wearing active MagicBands will have attraction videos automatically associated to their accounts. Videos are currently available for Seven Dwarfs Mine Train and The Twilight Zone Tower of Terror. Morimoto Asia and BOATHOUSE Dining Experiences Coming to Disney Springs in 2015: As Downtown Disney Area transforms into Disney Springs, the first of its four distinct neighborhoods is starting to take shape along the waterfront. Known as The Landing, the area will be home to unique and memorable dining experiences including the just announced Morimoto Asia and The BOATHOUSE, opening in Spring / Summer 2015. Dining reservations will be available soon. Morimoto Asia will be Japanese master chef Chef Masaharu Morimoto’s first-ever pan-Asian restaurant featuring flavors from across the continent. 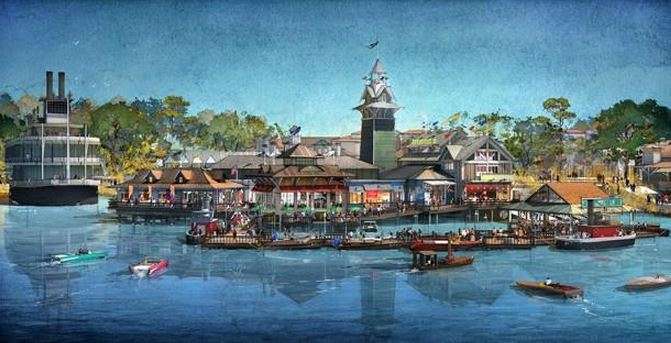 This Disney Springs dining destination will include unique exhibition kitchens showcasing traditions like Peking duck carving, and dim sum. New! Downtown Disney Parking Garage Opens Soon: Cast Members working at Downtown Disney beginning Nov. 2 will be able to park in the new parking garage on the West Side. Guests are expected to be able to use the new garage by November 20, 2014. The garage has five levels with about 4,000 parking spaces. On Nov. 20, the first through fourth levels will be partly open with about 1,700 spaces available. In December, nearly 3,000 spaces will be available. New! Disney Wine & Dine Half Marathon Weekend Nov. 7-8: Runners will celebrate the fifth anniversary of the Disney Wine & Dine Half Marathon Weekend at Walt Disney World Resort on Nov. 7-9. Participants in the Wine & Dine Half Marathon, which is sold out, will run a 13.1-mile nighttime race on Nov. 9 through Disney’s Animal Kingdom, Disney’s Hollywood Studios and Epcot. The race weekend also will include Mickey’s Jingle Jungle 5K and runDisney Kids races on Nov. 8. To register for the runDisney kids races and to purchase the few remaining tickets for the Disney Wine & Dine Pre-Race Taste Party at Epcot, visit www.runDisney.com. New! Get Disney Infinity 2.0. at Downtown Disney Marketplace: Guests will have an early purchase opportunity on November 1-2, 2014 at Once Upon a Toy in Downtown Disney Marketplace for Disney Infinity 2.0. 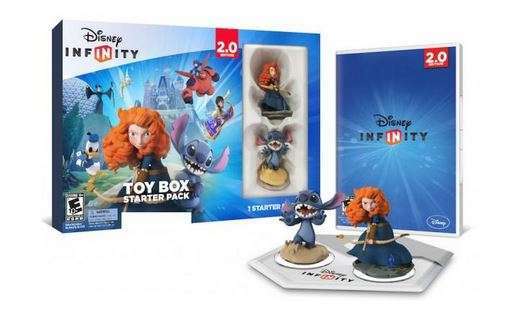 Disney will release the Disney Infinity 2.0 Starter Pack containing Merida from Disney•Pixar’s “Brave” and Stitch (retail $59.99 plus tax). Guests will receive one complimentary Disney figure with the purchase of a Disney Infinity Starter Pack at Once Upon a Toy during the weekend. Additional items being released will include figures of Maleficent, Donald Duck, Aladdin and Tinker Bell. Guests should also look for figures of Hiro and Baymax from Disney’s upcoming animated feature “Big Hero 6” coming to theatres on November 7. New! Disney’s Typhoon Lagoon Water Park Closed for Refurbishment: Disney’s Typhoon Lagoon Water Park is closed for it’s annual refurbishment Oct 26 – Jan 3, 2015. 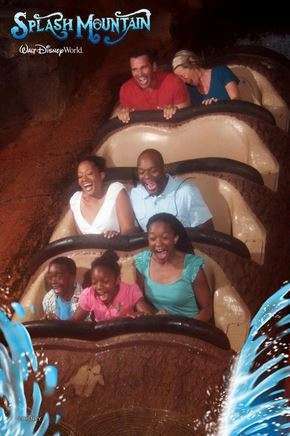 Disney’s Blizzard Beach remains open during this time. This year’s 2014 Epcot International Food & Wine Festival has wonderful merchandise, as always, but here are a few other special appearances you won’t want to miss. Coming in November! Tim Rogerson and The Beekman Boys. October 10 – November 3: The latest releases from Precious Moments doll designer and artist Linda Rick, including her new Halloween collection are coming! Linda will appear throughout the day October 10 – 12 and again October 31 – November 1 at Once Upon A Toy in Downtown Disney Marketplace. Next Post Buy Busch Gardens Fun Card Now, Get All of 2015 for FREE!! !